Having launched in 2011, Videoslots Casino is a newcomer to the online casino scene, but elbowing its way in rather quickly. Run by Malta-based Panda Media, the site features the Microgaming QuickFire no download casino platform, sporting over 3000 game titles. The majority of the titles are slots games, but blackjack, video poker and other casino games are also on offer. Players can enjoy the games both online and on their mobile devices without the need of an application. With a 100% up to €200 + €10 extra cash first deposit bonus, players can get a lot of entertainment for their money. Moreover, there are 11 Wager Free Spins up for grabs. You can also enjoy the exciting offers packed with bonus spins and other regular promotions on a weekly basis. Videoslots Casino opted for the QuickFire platform from Microgaming straight from the start and has been sticking with over 840 games happily. This also means that the progressive jackpots are connected to the Microgaming Progressive Jackpot Network. The site also uses Cryptologic, NetEntertainment, Betsoft, Play’NGO, NYX, Yggdrasil, MultiSlot, Aristocrat, NextGen, QuickSpin, Rabcat, Genesis, Leander and Push and it offers no download casino gaming both through computers and through portable devices. One of Videoslots Casino’s strongest suits is its blackjack selection. The site features 69 blackjack variants, so everyone can find something to their liking. Casual players and high rollers will be equally satisfied, as most of VideoSlots Casino’s blackjack games come in both high and low bet limits. The selection will prove to be a treasure chest to those on quest for rare blackjack sidebets. The collection includes Perfect Pairs, Lucky Lucky, Buster Blackjack, 21+3, Lucky Ladies and more. 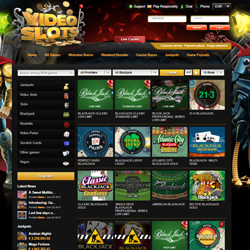 Besides the numerous blackjack games and hundreds of slots, Videoslots Casino also offers over 80 other exciting games, such as video poker, scratch cards, roulette, bingo, keno and more. The site caters to a broad audience with titles such as Premier Racing, Bingo Bonanza, Cyber Stud Poker, All Aces Poker, and a host of further games. 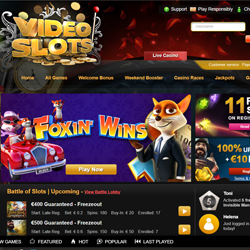 Videoslots Casino gives away 100% up to €200 match + €10 extra cash upon your first deposit. Moreover, there are 11 Wager Free Spins up for grabs. Their promotion schedule is packed with Casino Races, which are leaderboard tournaments. Unlike other online casino’s, Videoslots Casino does not specify eligible games, so you can play your favorites and still participate. Videoslots Casino has numerous strong points. 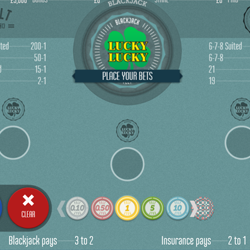 The most important of all being their selection of online blackjack titles. Other games, especially slots, are also great in number. The first deposit bonus is nothing to write home about, but their weekly and monthly promotions are generous and unique. 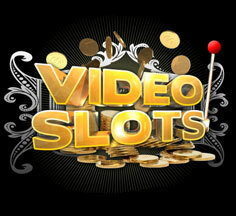 Visit Videoslots Casino today and give their games a try!